Around the holidays, many employees exchange gifts. While not all coworkers are close outside of work, swapping presents is a nice gesture that can bring a team together. It’s a bonding exercise based on a beloved holiday tradition. Whether it’s two members of the same department or employees giving business gifts to their managers, certain steps should be followed. Navigating the holiday season can be difficult, but taking the time to consider how appropriate certain presents are can help staffers avoid embarrassing situations at work. It may seem easy to give a gift to a co-worker. When people work together, especially in similar roles, bonds may form and interoffice friendships can develop. With that said, there’s a chance that an overly personal present can be off-putting or inappropriate for the workplace. 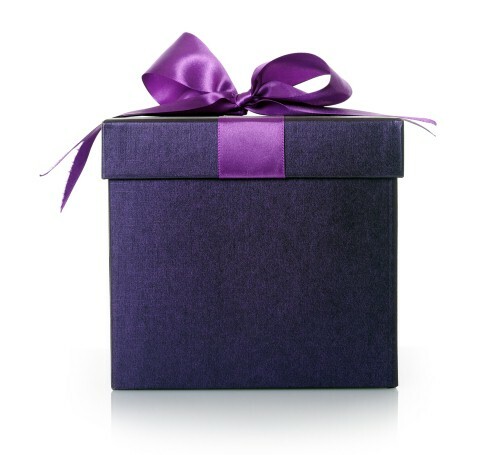 Choosing business-centric gifts from the Adler Collection increases the likelihood that a present will be well-received within a professional setting. There are gifts from the collection that can be used in almost any type of company. For example, if a traveling sales representative wanted to give a present to an associate, a passport holder or a duffel bag are items that everyone could use but may not want to buy. Employees who frequently work remotely could give each other laptop bags, so their notebooks are protected while commuting from one location to another. Personalized business gifts should only be given to associates who are particularly close. If there isn’t a strong relationship between two workers, an overly personal gift can be awkward for the recipient. Some employees feel obligated to give gifts to their bosses. When individual associates distribute presents to management, it can be perceived negatively by co-workers who believe gift-givers are trying to curry favor. A nice gesture can also put executives in awkward positions. MSNBC writes, “[M]any managers say lavish gifts from workers put them in a bad position because they feel pressured to reciprocate but don’t want to be perceived as showing favoritism.” Giving group gifts eliminates the possibility of alienation from co-workers while not making it seem as if managers must return the favor. Employees can pool their money and buy one of the Adler Collection’s executive gifts for their bosses. Workers can give anything from a leather-bound portfolio to a pair of driving gloves. Because the gift is from everyone, managers will know their entire staff cares without feeling the need to give individual thank-you presents. The Houston Chronicle recommends bosses give gifts of equal value to all employees. This practice avoids accusations of favoritism within the workplace. If everyone in the office received similar gifts, no one will feel slighted or unappreciated. The newspaper also notes that some employees should receive more thoughtful gifts. Personal assistants and exceptional workers deserve increased recognition for their efforts. The presents should be professional, however, so the recipients are motivated to keep up their strong work moving forward. Loyal clients don’t necessarily expect gifts from businesses during the holidays, but the gesture is always appreciated. Long-time customers enjoy receiving presents for frequent purchases and may maintain their patronage if they know that they’re appreciated. The Adler Collection can work well as corporate thank you gifts, because the items aren’t necessarily something that businesses would normally sell. Distributing presents that differ from standard products and marketing tools show customers that establishments aren’t solely interested in advertising through gift-giving. Making sure corporate gifts are appropriate is important. It may be best to hand out simple items like high-end pens or personalized calendars rather than give clients presents that don’t highlight the business aspect of their relationship.